228 people in our community are currently praying with you. 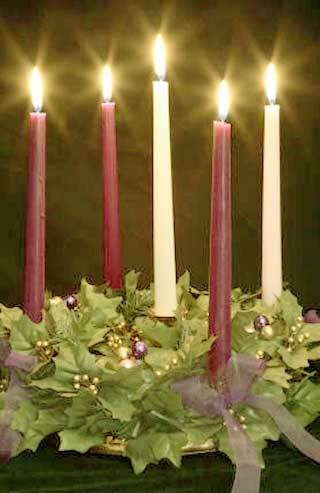 May the forgiving spirit of Him to whom we dedicate this season prevail again on earth. May hunger disappear and terrorists cease their senseless acts. May people live in freedom, worshiping as they see fit, loving others. May the sanctity of the home be ever preserved. May peace, everlasting peace, reign supreme. "My soul magnifies the Lord, and my spirit has rejoiced in God my Savior. For behold, from this time all generations will call me blessed. He who is mighty has done great things for me; And holy is His name. He has filled the hungry with good things; and the rich he hath sent empty away. As he spoke to our fathers, to Abraham, and to his seed for ever." And Mary stayed with her about three months, and then returned to her home.